Arab MKs livid after PM appoints committee to ensure Arab localities meet certain to conditions to receive land development budgets. Prime Minister Binyamin Netanyahu on Monday appointed a special team, headed by Tourism Minister Yariv Levin and Minister of Immigrant Absorption Ze’ev Elkin, who will ensure that the various Arab local authorities in Israel will meet a series of conditions before benefitting from the five-year plan approved last week to advance a systematic and structural economic development plan for Israel's Arab sector. The plan includes structural corrections to government allocation mechanisms in order to reduce disparities between Israel's Jewish and minority populations. It also allocates resources for implementing a report on increasing the supply of housing in minority communities enabling for the future construction of tens of thousands of housing units. The government anticipates implementation of the plan will significantly contribute to the economic development of minority populations by increasing employment rates, improving scholastic achievements, increasing a sense of personal security in these communities, improving the accessibility of public transportation and strengthening local authorities. "Activating the items in the budget will be subject to meeting the principles we will formulate. The head of a local authority who will not meet those principles will not receive the budget, because I think there is no point in investing money in infrastructure that nobody will later keep watch over," said Minister Levin on Monday evening. "I think the plan is important and therefore I voted in favor of it, but the arrangement is such that there is no point in investing money in infrastructure where there is no enforcement of law and order. So the goal is to try to create some sort of system to ensure the funds will be used to improve the enforcement of law and reach a point where any investment in infrastructure will be preserved,” he added. "I expect every head of a local authority who receives funding to establish a police station that he will find land and build it. If it turns out that the council head says 'I do not want a police station in this community', he will not be given money for a public park," Levin continued. Levin added that if a council whose educational system works to incite violence and encourage incitement is discovered, then "there is no logic to allocate funds to programs to prevent violence in schools." The announcement was met with anger on the part of Arab MKs. Zouheir Bahloul (Zionist Union) mocked the offer and in response proposed new conditions of his own for budget approval. "We, the Arabs of Israel, promise to be loyal to your spirit of incitement and racism, pledge that are our sons and daughters will sing praise to your name at the morning assemblies in our schools, pledge to sing the Beitar Jerusalem anthem 365 days a year, and finally, we pledge to change the popular name Mohammed. 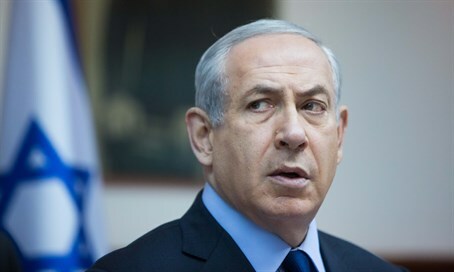 From now on, every infant born in the Arab sector in Israel will be named Bibi," said Bahloul.